A pastor's retreat is a short time away from the demands of ministry. It can be as short as one day or as long as four or five. Under normal ministry conditions I think a pastor needs two retreats a year. When things are more stressful in your church or his own life, your pastor may need to get away every month. budgeted part of a pastor's salary. 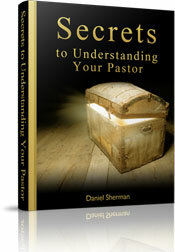 Download the entire pastor salary section of My-Pastor.com in an ebook format. You can print as many copies as you want. And it will look better than printing each of the 11 pages directly from the web site. Refresh. Pastors frequently work about 60 hours a week. Meetings and phone calls last into the late evening. Hospital visits start about six in the morning. Your pastor rarely works fewer than six days a week... have you ever wondered why he has one day off? Ministry is exhausting work. Pastors need times when they can get away and sleep in, take a casual walk in the woods, or read a non-ministry related book while lying on a hammock. Renew. Pastors need to renew their minds. Physical fatigue is usually accompanied by mental fatigue. They also need time to renew spiritually. Pastor retreats allow your pastor to renew his body, mind and spirit. Recover. Your minister is involved in many stressful circumstances. He is doing crisis marriage counseling, ministering to a family whose newborn recently passed away, and trying to create peace between quarreling church members, In addition, he may have stress at home you don't know about. A pastor retreat gives him or her the perfect opportunity to recover from a stressful circumstance. Relax. 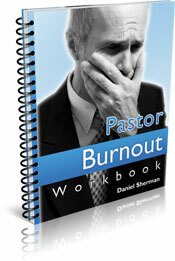 There are periods - sometimes long periods - in every pastor's ministry where stress is intense and unending. Our bodies are designed to handle short periods of stress. But prolonged stress can cause physical and psychological problems. Pastor's retreats can help break the cycle of stress. Rekindle. When I pastored B.C. (before children) my wife and I did almost everything together: visitation, counseling, committee meetings, golf. But children introduced a different dynamic. It became more like tag-team ministry: one of us would stay home while the other went out. When you add to this the fact that many ministry activities last late into the evenings, your marriage tends to suffer. A pastor's retreat is an ideal way to rekindle the marital relationship. Refocus. It's easy to lose sight of the big picture when you are getting swallowed by daily details. A pastor's retreat can provide the time to assess ministry goals and strategy. It can also be a time to refocus spiritually. Pastors need periodic times of dedicated prayer and meditation. Effective pastor's retreats will accomplish at least one of those purposes. No two retreats are the same. No two pastor retreat centers are the same. But there are three basic types of pastor retreats. Self-Directed Pastor Retreats. These retreats don't have an agenda. There's no schedule to keep. They simply allow a pastor to get away to a quiet place in order to accomplish at least one of the purposes listed above. Full-Service Pastor Retreats. Retreat centers are increasingly developing programs specifically for pastors. They typically include all meals, seminars, professional one-on-one and group counseling, and other programmed activities. This type of retreat is especially helpful to pastors who are experiencing ministry-related difficulties. Theme Pastor Retreats. These retreats focus on one topic. The subject might be marriage, spiritual disciplines, leadership, finances, or another ministry topic. These retreats might also be considered continuing education. Pastor's retreats are obviously important. But where do you find them? Your Denomination. Your denomination probably sponsors retreats or even operates its own retreat center. If not, they almost certainly can recommend some retreats that are available near you. Para Church Organizations. Mission organizations and other ministries often have retreat centers for their staff. These centers may also be open to pastors in general. Other Pastors. Ask other pastors where they've gone for retreats. One personal recommendation is worth ten web site advertisements. Review This List of Pastor Retreats. This is a list of retreats and retreat centers that I have gathered. If you would like to add your retreat or know of a retreat that isn't on the list, please use the form on this page (click here). Never think of your pastor's retreat as a vacation. It is a short time away from ministry that accomplishes a very specific purpose. Your pastor needs at least two retreats a year. Your church needs your pastor to go on at least two retreats a year. 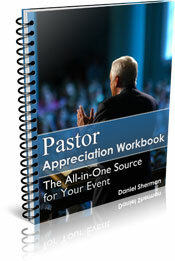 Consider it an investment in your pastor, his family, and in your church. Oh, one more thing: have a guest speaker preach the Sunday after your pastor returns from the retreat. If he has to worry all week about preaching on Sunday, his retreat won't be very effective.